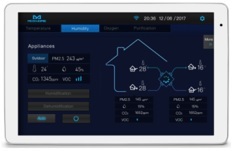 Frankfurt, HR – Light + Building 2018 – Hall 9.1, Booth E46 – March 18-23, 2018 — Guangzhou, China: MCOHome, professional manufacturer of Z-Wave devices releases a new powerful hardware platform, which can open for developers to design their own software according to the actual needs for home automation. 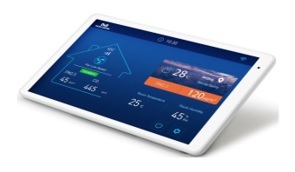 Meanwhile, end customers can install with suitable Z-Wave APP to use it as a main control panel in a Z-Wave network. MCOHome is committing to development of the IoT market, and its product line includes power switches, thermostats, air quality monitors and even custom hardware. OCPad is a hardware platform based on a robust Octa-core processor. It supports Android system, and equipped with a rich peripheral interfaces. This platform offers the possibility to retrofit traditional appliances with intelligent features, therefore to enhance the products’ value. Moreover, with customized firmware, it provides convenient user interface for effective human-computer interaction, which is a must feature for IoT system. To simplify development process, and accelerate the product marketing schedule, OCPad is developer’s first also the best choice. As a professional manufacturer, MCOHome aims at providing new end controlling Z-Wave devices with affordable price for consumers. We also can provide controller with Z-Wave / Wi-Fi module for electrical appliances, such as: air conditioner (residential/commercial), air purifier, fresh air ventilation device, electrical heating device and solar water heater etc. All products can be compliance to the CE, ETL, UL, FCC, RoHS or other standards you may need.